This small set of number rods is made of quality timber and comes stored in a neat timber box inclusive of numerical tiles. The set is designed for use where physical space is limited and is used in the same way as the large number rods. 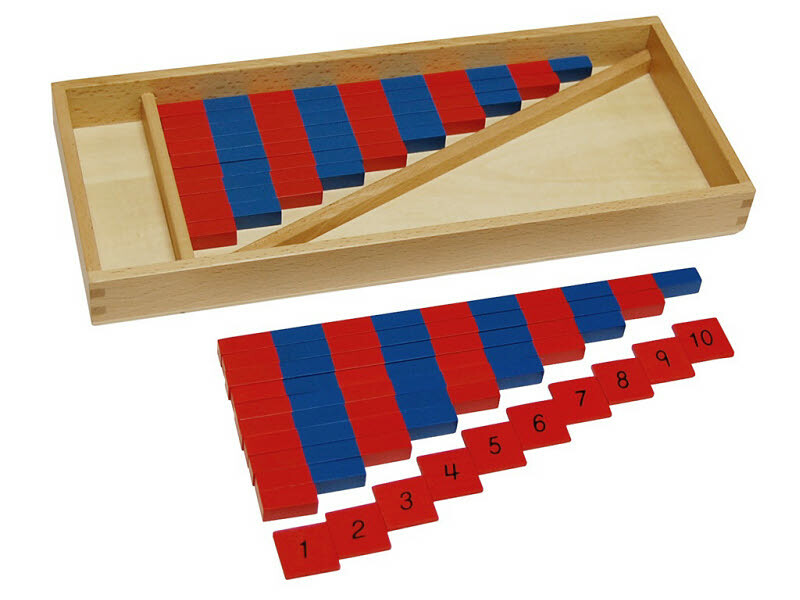 The Number Rods introduce the child to quantity 1-10 and their corresponding number names. Through exploration with the material, the child also develops concepts in sequence of number, combinations of 10 and basic arithmetic. The material consists of 10 wooden rods, divided into units by alternating colors of red and blue, progressing in 10 equal steps.